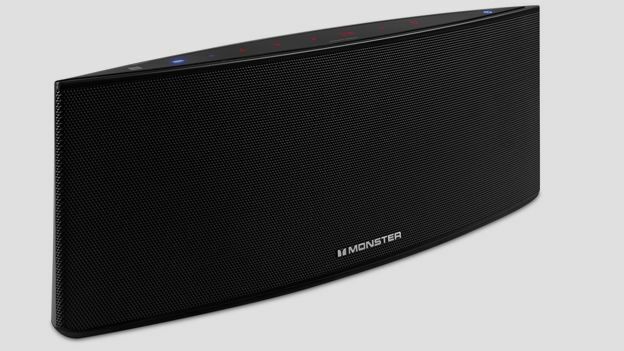 With the likes of Panasonic and Harman Kardon jumping into the market for wireless home audio systems, Monster will be bringing its patented 'Pure Monster Sound' to homes - sooner rather than later - with Monster SoundStage. SoundStage will come as a line of three products, specifically the S1, S2 and S3. The line ascends in size, but all the models have a much smaller footprint than their competitors, and the power to fill a large room thanks to newly designed front and bass drivers. The system will use your phone as the controller, either via the SoundStage app or via Bluetooth. But importantly, SoundStage is the first to use Qualcomm Allplay smart media platform, which lets you stream to all your SoundStage devices at once, or you can stream different tracks to each, and control volume individually too. SoundStage is due for release in November of this year, so stay tuned for a hands-on and review in a couple of months.